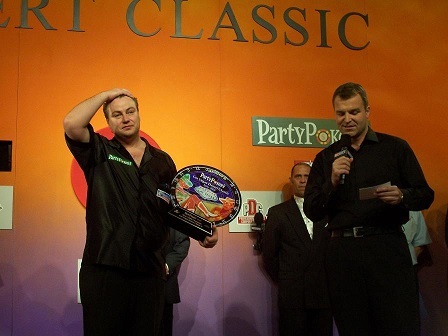 The Las Vegas Desert Classics were a PDC tournament which was played from 2002 to 209 in Las Vegas in the USA. 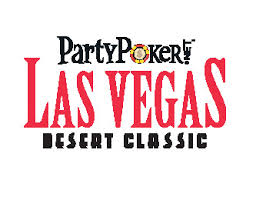 The Las Vegas Desert Classics were an attempt of the PDC to build on the North American Open of Tom and Della Fleetwood which was a very popular tournament with international participants. But the Americans never really took to the PDC tournament. The North American Open had been an open tournament in which everybody could take part while in the Las Vegas Desert Classic beside the Top 12 of the Order of Merit three American players and the top Canadian of a special ranking and 16 qualifiers from three qualifying events in Las Vegas took part. The qualified North Americans never really were successfull with the exeption of Canadian John Part who won it once. Beside there never were a lot of spectators as Las Vegas was too expensive for most and the usual date around the 4. July (Independence Day) was a bad choice. Another reason for the failure was that the tournament always was mostly played in the mornings so that the British spectators could watch it live despite the time difference. Only in the first years it was televised in the USA as well. The format was another point which made it not really popular in the USA. While the North American Open was played in the in the USA widespread short "best of three sets" format The Las Veags Desert Classic had a longer format which even changed several times. First it was played round robin/leg knockout, than in sets and later in straight legs. After the Desert Classic had stopped the PDC attempted with other tournaments to gain a foothold in North America but failed again. Even the North American Tour just couldn't get enough participants. So since 2014 only a PDC Spectacular is played in Canada which determines who will be the sole North American player in the PDC World Championship.